Ce webinaire est offert en anglais seulement. This webinar is only offered in English. Date: Monday, September 29, 2014. Objectives: To familiarize attendees with the design and content of the Canadian Longitudinal Study on Aging, a study of 50,000 persons in Canada, aged between 45 and 85 years, who are being followed for at least 20 years. Requirements: Prior knowledge: None Recommended Readings: None Materials: Computer, reliable internet connection, and headset or microphone and speakers or telephone. Instructor Bio: Dr. Mark Oremus is an Associate Professor in the School of Public Health and Health Systems at the University of Waterloo. 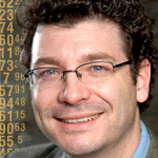 He is also an Associate Scientific Director for the Canadian Longitudinal Study on Aging. His research interests include chronic diseases and aging, population and public health, health economics, health policy, quality-of-life, systematic reviews, knowledge translation, and mixed methods research. Dr. Oremus has led studies investigating Canadians’ willingness-to-pay for Alzheimer’s disease medications and the use of general public proxies to assess the quality-of-life of persons with Alzheimer’s disease. He has taught mixed methods research, population health, and epidemiology at the graduate and undergraduate levels. Dr. Oremus is the Vice-President of the Canadian Society for Epidemiology and Biostatistics, Communications Officer for the International Joint Policy Committee of the Societies of Epidemiology, and an Associate Editor for Health and Quality of Life Outcomes. How to Register: Spaces are limited so please register early to avoid disappointment. Registration will close on Thursday, September 28th at 5:00 PM EST. Registration is now closed.